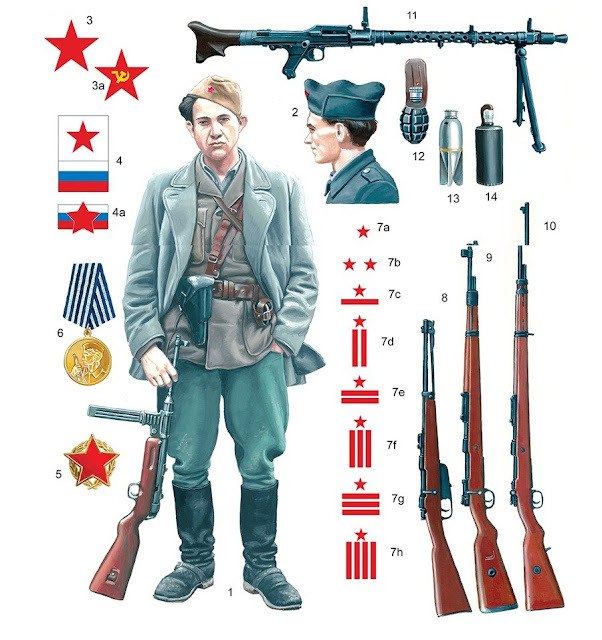 The Socialist Federal Republic of Yugoslavia had forty military facilities for strategic purposes, including several underground airbases. 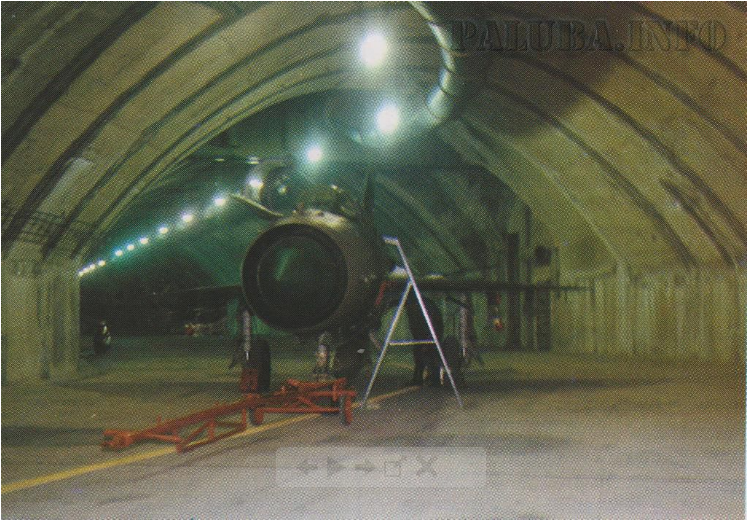 Such facilities were the largest military secrets. 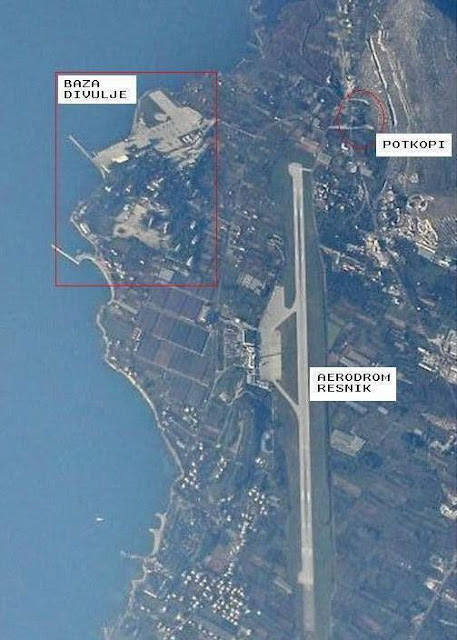 One of these underground airbase which is located near Split in Croatia. 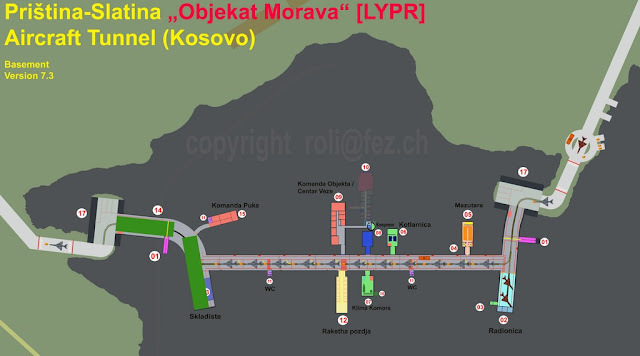 Realizing that the project Zeljava (built 1958 to 1968) very demanding and expensive and the construction of long does it take, we started with the construction of several smaller undermine for aircraft - underground hangars. 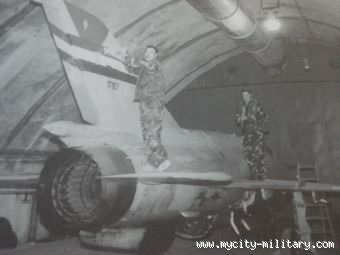 Such underground structures were built in Split (Cetin underground facility built 1969 to 1970), Pristina (object Morava), Podgorica (former Titograd) the object Šipčanik and Mostar (Buna facility built 1969 to 1971). 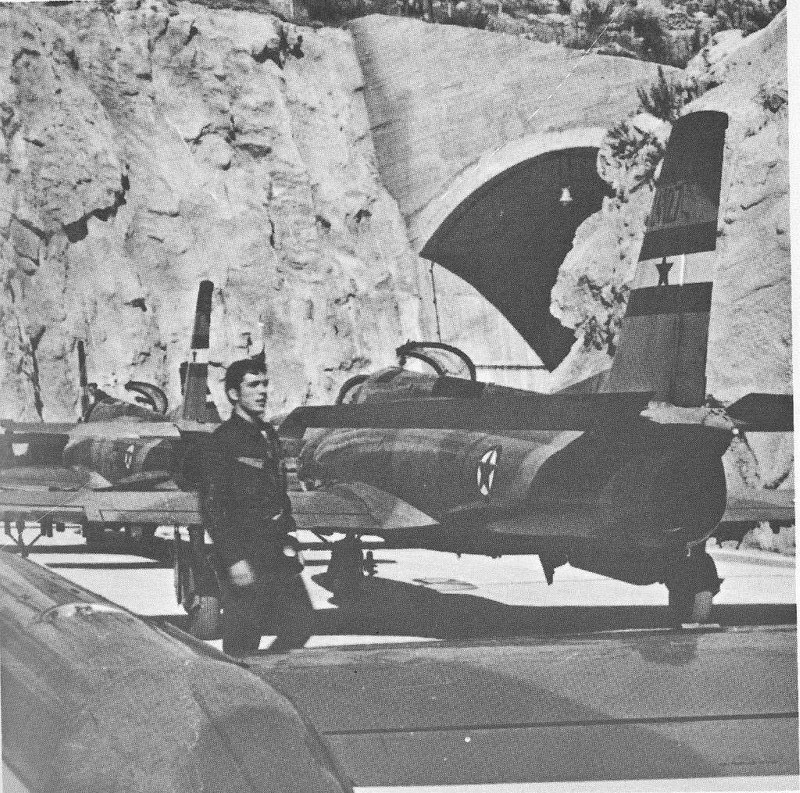 Until '91 Divulje were heliport (also alternate aerodrome) and in its composition had the naval part. The people from the airport has mostly stayed in the former military resort Divulje near Split. From there was organized a morning military transport to work and back. At the helipad, there were two hangars. 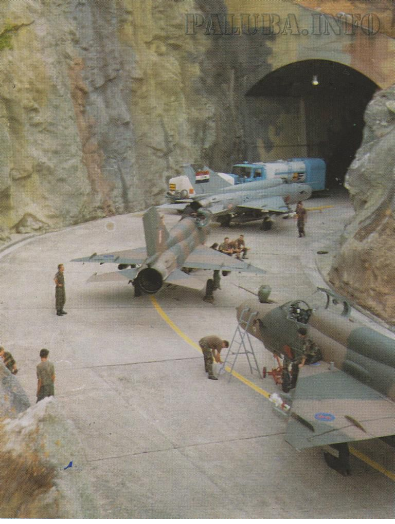 Both have been used as a workshop for periodic inspections on helicopters. 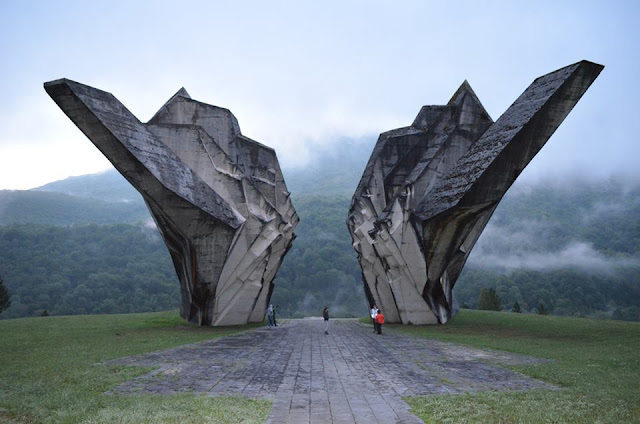 Base Divulje was headquarters of the 784. The anti-submarine helicopter squadron of the YuAF - six Soviet Kamov-25PL (HP-43 "Hormone"), two-Kamova 28 (HP-46 'Helix') and four Mi-14PL (HP-44 "Haze"). On Kamov was the third member of the crew was a naval officer. Later, one of these Kamov appeared at Batajnica. 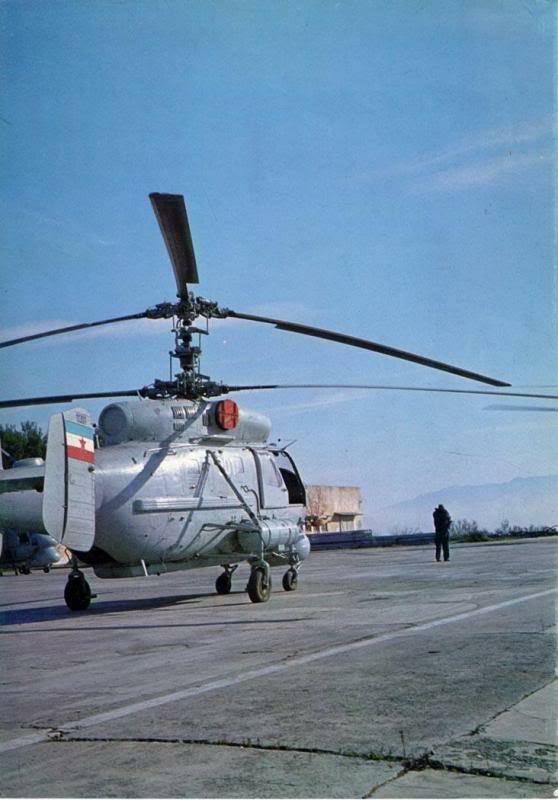 Mi-14 were bright blue color very similar to the Mi-8 only by a shade higher. The helicopters Ka-25 and Ka-28 can be found in the permanent exhibition of the museum JRV Surcin, and probably was also a copy of Mi-14. Otherwise, dislocation antisubmarine squadron of helicopters from Divulje 1991 have been transferred to the airport Golubovci. 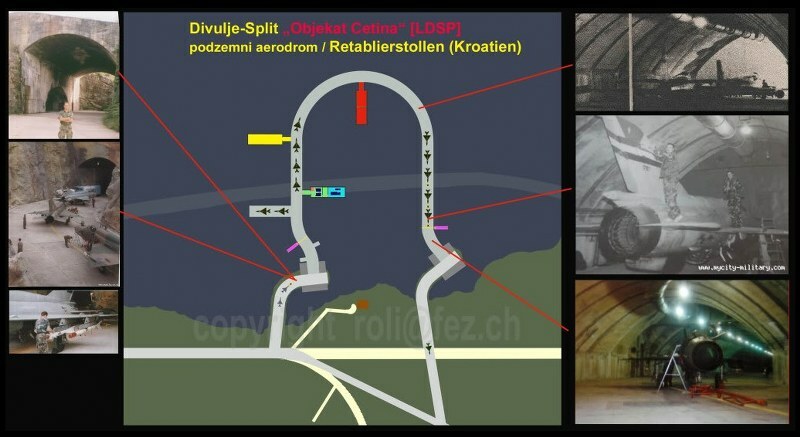 The tunnels of Airport Divulje near Split also has two entrance/exit that is away from the runway. By the runway planes reached by crossing the regional road. As described by people who have stayed in the tunnel, it is U-shaped, with the mandatory diverting entrance of 90 °. this base was Central Marine Military School, Naval Academy, MEZ (Naval Electronic Institute). Later, until 1991. Training Center Marine commandos, helicopter units etc. The 95th Air Force Base Split-Divulje was the air force unit of the Croatian Air Force based in Divulje near Trogir. It was founded in 1993 and structurally ceased to exist in 2008. 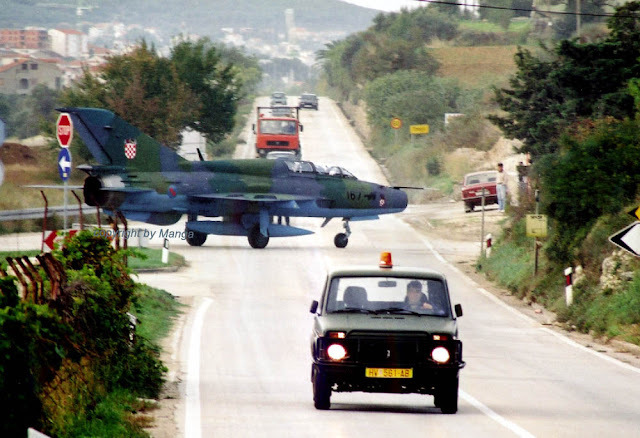 According to the Long-Term Development Plan of the CAF 2006 - 2015, to which it is provided that the Air Force has two air bases and airfields in Pula, Lučko, and Divulje. 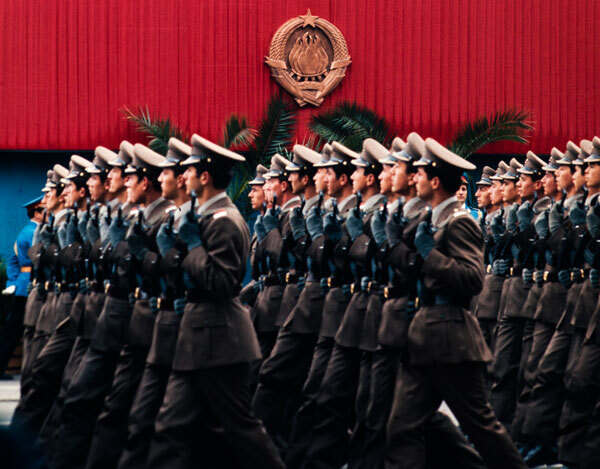 The Base has the composition of the 93 Airbase Zadar. 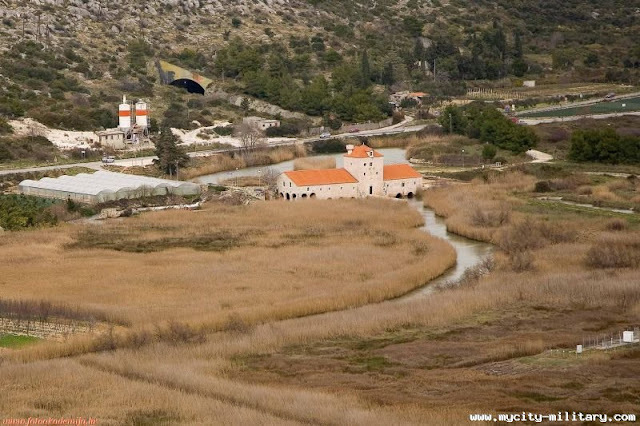 Divulje airbase was used for the transport helicopter squadron 93. of Air Base Zadar. 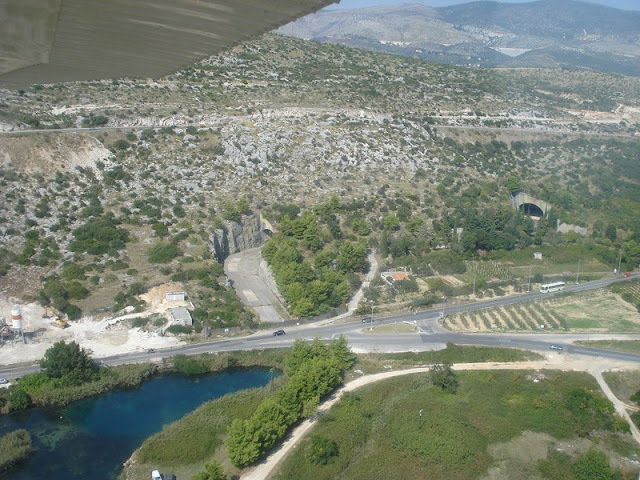 Air Base Split-Divulje was formed in August 1993.